Psycho Stormtrooper, 33 years old*, is certainly an emblematic video game collector. Intellivision specialist as of his youth, it judiciously increases his collection by organizing bets with his buddies and he used until 4 Mattel Intellivision at the same time! On your website, we learn how you became player and collector, could you tell more about your gamer life? 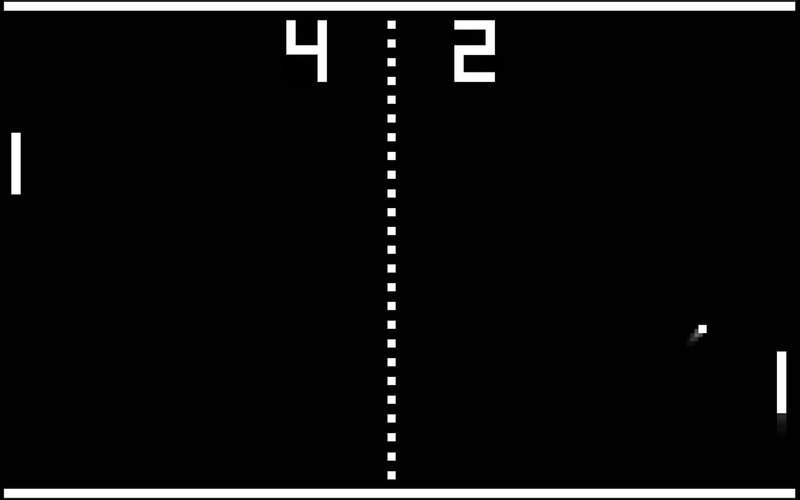 When I was young, my first video game system was PONG. It was one of the very first home video games produced. It soon became boring. A year later, a friend of mine got an Atari system. We would spend hours & hours on it every day….we were kids. Being that the 70’s were the start of the video game boom, my parents did not quite understand the attraction for kids. After some coaxing with some good grades in school, I was able to get them to commit to a video game system for Christmas. I told them I wanted the most expensive system….which was Intellivision, at the time. I was hooked. For that time period, the graphics were the best. Did you have other systems as a CBS Colecovision ? I did not really get into the Colecovision, but did have just about every system after that : Nintendo, Sega, Playstation, PS II, & now X-Box… to name a few. I still play the Intellivision on occasion, but play a lot more online with games like PS II. What are your favorite games ? 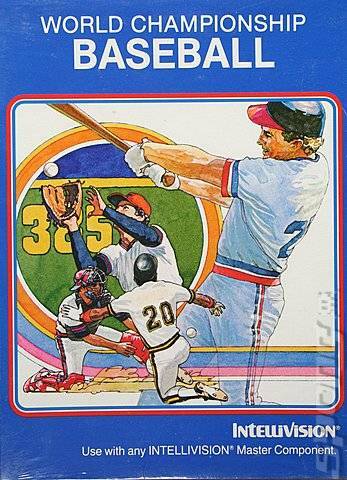 My favorite game for the Intellivision system was « World Championship Baseball ». Don’t get me wrong, I loved the role playing games, but I was a sports freak. Also, It was more fun to play against my buddies than alone. Are you the major Intellivision collector in the world ? No, I am not the major collector in the world….. not even in the United States. From what I know, the United States has at least the top 20 collectors in the world. If I had to rank myself….It would be in the top 20, but not in the top 10. One of the top collectors is Intelli-Steve (Steven Orth) aka Vader-O. He has one of the best Intellivision sites, INTV Funhouse. Like me, most of the items on his site are actually in his collection. There are also many collectors that do not have sites, or stay out of the limelight. In my personal Intellivision collection, I have over 1500 games with two complete collections of games, 20+ systems, an almost complete Digiplay collection, & many rare items. How do you distinguish yourself from the other specialized collectors ? I distiguish myself from other collectors as being the cut-up. You can see this by looking around my website. I like to joke around & have fun. I am also a stickler for things being perfect. That is why I created the « Orphan Overlay set ». I was never happy that some games were produced without overlays. I have a graphics art background & was determined to make the games complete. It took several years to complete, but I was very happy with the end result. What are your most beautiful Intellivision items ? How did you find them ? What do these items mean for a collector as you ? Some of the best items in my collection are my factory sealed « Congo Bongo » game, Shrinkwrapped « Fathom » game, mint « Spiker Super Pro Volleyball » game, & my factory sealed/shipped Intellivision Inc boxed games. (The factory sealed/shipped boxed games are games that were shipped from the factory to the distributers. Each has 6 sealed games in them that have never seen the light of day. The last person to touch them was the person that boxed them at the factory. I have a box of « Masters of the Universe, Pinball, Night Stalker, Motocross, Burgertime, Super Pro Football -INTV, & Slam Dunk Super Pro Basketball- INTV). Some of the rarest items in my Intellivision collection include my Digiplay collection. Digiplay (or Digimed) was a company based in Brazil. They were the company in charge of production & distribution of Intellivision games in South America. For a collector, these games are very rare because they are all produced in the local language of Brazilian Portuguese. The instructions look different & the overlays are even in Portuguese! They are the only Intellivision games to have these differences. There’s whole history can be viewed on my website under « Digiplay ». I have been told by many collectors that I have the biggest collection of Digiplay / Digimed games in the U.S., & maybe in the world. I currently have over 200 boxed Digiplay games including five « Digimed Intellivision I » systems, ten « Digiplay Intellivision II » systems, & some very rare catalogs. I am also working on getting a very rare item from a former employee of Intellivision Inc. It is believed to be the actual Intellivoice II unit that was pictured, but never produced, for the Intellivision II unit. Do you think your Intellivision passion help you in your life ? That is a tough question… I do know that I still get excited every time I get an Intellivision game. As far as helping me in life?…well, I guess the best thing it has done for me is to teach me that life is very precious. What I mean is that, I cherish all of my Intellivision games because it reminds me of when I was young & life was simple. No stress, no job, & no problems in life to worry about except playing outside, or playing video games with friends. I have also made some great friends with other collectors. I would not change a thing. Is it possible to organize in US or elsewhere a special contests (popular or with charge for gamers) on old videogame like Intellivision ? That would be difficult. It may be able to be done at a trade show like the « Philly Classic« , or the CGE(Consumer Gaming Expo). They are put on every year & may be able to put together contests. I believe that The Philly Classic does have retro-gaming contests for a few of the old consoles. The problem is that almost all of the collectors are from the 70’s & 80’s. The younger generations do not even know what Intellivision is. Why do you hide with a mask, are you an PacMan alive ? The reason I do that is stealth. I like the idea of being hidden in a crowd. I love to go to vintage electronic shows & talk with people. When the name « Psycho Stormtrooper » comes up, I can get real opinions about my work without giving up my identity. It is also a memorable icon & name. I was told from another collector that when he hears « Psycho Stormtrooper »….he thinks overlays. Beside, I am just too good looking. I don’t want model agencies bothering me. Did you insure your collection ? Do you think that significant to do it in your case and for other important collectors today ? Believe me, my collection is secure. But no, except for my homeowners insurance, it is not. I keep my rare & high price items locked away in an undisclosed location. My main collection & extra items are always near in my home. I do not think it is necessary to put any extra insurance on large collections. But, I do think it is wise not to keep it all in one place. « Don’t put all your eggs in one basket » sort a speak! I do know that if my house burnt to the ground, I would break down in tears…..not from the loss in money from the Intellivision collection, but from the time & effort envolved. What are your next projects for your collection or around Intellivision ? Would you like to develop it? Funny you should ask…. I am currently envolved in a big project developing some new games for the Intellivision system. They will be made in cart form complete with box, instructions, & overlays. I cannot expand on this because it is all hush, hush for now. Let me just say that the games will blow everyone away, they will be made in limited quantities, & you will see them this year (2004) ! What do your family and friends think about your passion ? Do they understand ? They think I am Psychotic! Hense, the name « Psycho Stormtrooper ». They laugh at me when they see me getting excited over 20 year old games. Your parents sold their can collection for your first Intellivision, is it to return honor to them that you became a collector ? When you were child, you organized bets. Could you tell me more about ? That was a long time ago. Back when Intellivision was the hottest gaming console. What I would do is set up tournaments on the week-ends with friends & others. We would compete for money playing each game cart. The top gamer for each individual game would win money out of the pot. Whoever won the most Individual game would win a bonus pot & be declared the King. I did the same thing years later with the Sega system & NHL Hockey. I guess it is like a poker game for video gamers. I trade your complete Intellivision collection for one week of dream with Miss World in a incredible villa in the Caribbean, do you accept ? Ha Ha… Well,… I don’t think that’s a fair trade. Some of my items are beyond rare & one of a kind. There are many women in the world. Also, my collection never complained to me, cheated on me, or wanted money….. Maybe if you threw in a few more girls, & extended it for a few months, we could talk. *In 2012, Roger is 41 years old and sold there are a few years a large part of his Intellivision collection. Psycho Stormtrooper, le créateur des overlays éponymes ! 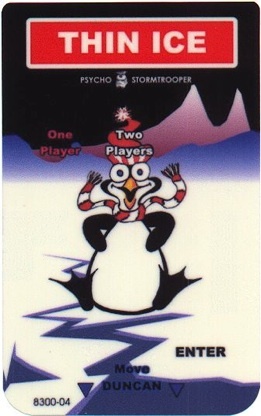 A 33 ans*, Psycho Stormtrooper est certainement l’un des plus emblématique collectionneur de jeux vidéo. Spécialiste dès son plus jeune âge de l’Intellivision, il agrandit judicieusement sa collection en organisant des paris avec ses copains jusqu’à faire fonctionner 4 Mattel Intellivision en même temps. Aujourd’hui, ce collectionneur d’outre atlantique est non seulement reconnu pour son incroyable collection de jeux et de consoles mais aussi et surtout pour avoir conçu des overlays pour les jeux vendus sans (séries Parker, INTV, Coleco et Atarisoft). Sa passion ne s’arrête pas là comme nous allons l’apprendre dans cet entretien. Peux-tu nous parler de ton parcours de joueur ? Quel est ton jeu favori ? Ma première console était un système Pong, le premier jeu vidéo familial. Il est rapidement devenu lassant. L’année suivante, un de mes amis a eu l’Atari 2600. Tous les jours, nous passions des heures et des heures dessus…. nous étions des gosses. C’était les années 70 et l’explosion du jeu vidéo. Mes parents n’avaient pas tout à fait compris l’attraction que cela représentait pour les gosses. Mais après des bonnes notes obtenues à l’école, j’ai pu avoir le droit de demander une console de jeux vidéo pour Noël. Je voulais la console de jeux la plus chère de l’époque… c’était alors l’Intellivision. J’ai accroché immédiatement. Les graphismes étaient bien plus beaux que sur les autres systèmes. Je n’ai pas suivi la vague « Colecovision », mais j’ai eu presque toutes les consoles suivantes : Nintendo, Sega, Playstation, PS2, et maintenant XBox pour en nommer quelques unes. Je joue toujours à la Mattel à l’occasion mais je passe la plupart de mon temps sur la PS2, sur des jeux en ligne. Mon jeu favori pour la Mattel Intellivision était « World Championship Baseball ». Mais ne me faites pas dire ce que je n’ai pas dit, j’adore les jeux de rôle, mais je suis un dingue de jeux de sport. Et puis, c’était plus sympa de jouer avec des potes que seul. Es-tu le plus important collectionneur Intellivision dans le monde ? Comment te distingues-tu par rapport aux autres collectionneurs ? Non, ni dans le monde, ni aux Etats-Unis. D’après ce que je sais, les 20 plus importants collectionneurs vivent aux Etats-Unis. Si je devais me positionner dans une liste, je devrais me situer dans les 20 premiers mais pas dans le Top 10. Un des plus importants collectionneurs est Intelli-Steve (Steven Orth). Il a développé un des plus intéressants sites sur l’Intellivision, INTV Funhouse. Comme pour moi, tout ce qu’il possède est référencé sur son site. En revanche, de nombreux collectionneurs ne disposent pas de site et préfèrent parfois rester discrets. Ma collection personnelle est composée de 1 500 jeux (dont deux séries de jeux complets (125 jeux différents ont été édités officiellement, NDLR)), plus de 20 consoles Intellivision et presque une collection complète de jeux Digiplay (jeux Intellivision fabriqués et distribués au Brésil, NDLR) et de nombreux autres pièces rares. Je me distingue des autres collectionneurs en optant pour un discours décalé. On peut s’en rendre compte en visitant mon site Internet. J’aime plaisanter et prendre du plaisir à ce que je fais. Mais cela ne m’empêche pas d’être quelqu’un de très rigoureux. Pour argumenter mon propos, j’ai fabriqué des overlays pour les jeux commercialisés sans (Jeux Coleco, Parker, INTV, Sega, Atarisoft, NDLR). Je n’étais pas satisfait à l’idée de savoir que des jeux avaient été édités sans overlay. Avec ma formation en art graphique, je me suis attelé à compléter ces jeux. Je suis très satisfait du résultat final. Quelles sont les pièces de ta collection les plus intéressantes ? Que signifient-elles pour un collectionneur comme toi ? Les plus belles pièces de ma collection sont des jeux encore sous scellés. Je pense particulièrement à « Congo Bongo », « Fathom », « Spiker Super Pro Volleyball » ou encore à des jeux scellés qui se trouve eux-mêmes dans des cartons scellés qui étaient uniquement envoyés aux distributeurs par la société Intellivision Inc. Il s’agit de boite en carton comprenant chacun 6 jeux… jeux qui n’ont donc jamais vu la lumière du jour. La dernière personne qui les a touchés est l’employé qui conditionnait les jeux. J’ai une boite de « Masters of the Universe », « Pinball », « Night Stalker », « Motocross », « Burgertime », « Super Pro Football » et « Slam Dunk Super Pro Basketball ». Quelques une des mes plus belles pièces de ma collection comprennent aussi une collection de jeux Digiplay. Digiplay (ou Digimed) était une société installée au Brésil. La compagnie produisait et de distribuait les jeux Intellivision en Amérique du Sud. Pour un collectionneur, ces jeux sont très rares. La boite, la notice et les overlay ont été traduits en portugais. Ce sont les seuls jeux Intellivision qui possèdent cette caractéristique. J’aborde l’histoire de Digiplay sur mon site sous la rubrique du même nom. De nombreux collectionneurs m’ont affirmé que j’étais le plus important collectionneur de jeux Digiplay / Digimed aux USA, et peut-être dans le monde. Je possède actuellement plus de 200 jeux Digiplay et 5 consoles « Digimed Intellivision I », 10 consoles « Digiplay Intellivision II », et quelques catalogues très rares. Actuellement, je tente de récupérer un objet très rare que détient un ancien employé de la société Intellivision Inc. Il s’agit d’une photo de l’Intellivoice II jamais produit. D’une quelconque façon que ce soit, que t’a apporté ta passion ? C’est une question difficile… je suis toujours très excité à l’idée d’obtenir un jeu Intellivision. Mais de là à m’apporter quelque chose dans la vie ? Bon, la meilleure chose que cette passion m’a apporté est de m’enseigner que la vie est très précieuse. Ce que je veux dire par là, c’est que je chéris tous mes jeux Intellivision parce qu’ils me rappellent ma jeunesse. La vie était alors simple, sans stress, sans boulot ni problème. La seule chose qui importait était de s’amuser avec ses potes dehors ou avec des jeux vidéo. Ce que je peux ajouter c’est que cela m’a permis de lier amitié avec des collectionneurs. Aujourd’hui, je ne changerais rien. Penses-tu qu’il soit possible d’organiser des tournois sur des anciennes consoles de jeux vidéo aux USA ou ailleurs ? Cela ne serait pas évident. Il est possible d’organiser des expositions vente comme « The Philly Classic« , ou le « CGE » (Consumer Gaming Expo). Ils ont lieu tous les ans et pourraient du même coup organiser des tournois. Je crois que « The Philly Classic » le fait sur des vieilles consoles. Le problème est que tous les collectionneurs sont issus des années 70 ou 80, la nouvelle génération de joueurs ne connaît pas les consoles comme l’Intellivsion. C’est une ruse. J’apprécie l’idée de passer inaperçu à l’intérieur d’une foule. Lorsque je me rends dans les salons spécialisés, je prends un malin plaisir à discuter avec les gens présents au salon. Lorsque que le nom « Psycho Stormtrooper » est formulé, j’obtiens des commentaires sur mon travail et cela sans devoir décliner mon identité. C’est aussi un nom et une icône emblématique. 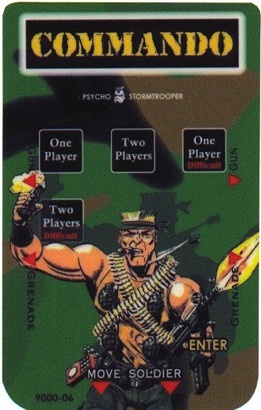 J’ai entendu dire par un collectionneur que lorsqu’il entendait « Psycho Stormtrooper », il pense aux overlays. Derrière ce masque en réalité, je suis super beau et je ne veux pas que des agences de mannequins viennent m’ennuyer. As-tu assuré ta collection et penses-tu qu’il soit nécessaire pour des importants collectionneurs de le faire ? Crois-moi, ma collection est en sécurité. Mais non, à part mon assurance habitation, je n’ai pas assuré spécialement ma collection. Je préserve les pièces les plus rares et les plus chères dans un endroit fermé et gardé secret. Ma collection principale et d’autres objets sont toujours proches de moi, chez moi. Je ne pense qu’il soit nécessaire de prendre une assurance complémentaire pour une importante collection. Mais, je pense en revanche que ce n’est pas prudent de garder tout dans un seul et même endroit. « Il ne faut jamais mettre tous ses oeufs dans le même panier » comme on dit ! Je sais que si ma maison brûlait, je pourrais m’écrouler en larmes… pas pour la perte financière que cela représenterait mais pour tous ces efforts qui partiraient en fumée. As-tu des projets pour la Mattel Intellivision ? C’est amusant que tu me demandes cela… Je suis actuellement sur le développement de nouveaux jeux pour l’Intellivision. Ces jeux comprendront une cartouche avec une boite, une notice et des overlays. Je ne peux pas en dire plus pour le moment parce que c’est encore un projet confidentiel, encore trop confidentiel pour le moment. Je peux juste dire que ces jeux vont impressionner. Ils sont prévus en une quantité limitée et vous les verrez apparaître, dès cette année, en 2004 ! Que pense ta famille et tes amis à propos de ta passion ? Comprennent-ils ? Ils pensent que je suis un psychopathe ! 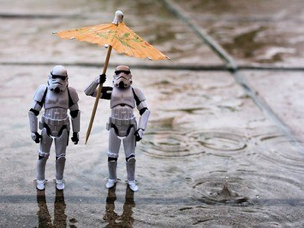 D’où mon nom « Psycho Stormtrooper ». Ils se moquent de moi à l’idée que je puisse être excité par des jeux vieux de 20 ans. Tes parents ont dû vendre leur collection de canettes pour t’offrir ta première console Intellivision, est-ce une manière de leur rendre hommage que tu es devenu collectionneur ? Gamin, tu organisais tournois et paris, peux-tu nous en dire plus ? C’était il y a très longtemps. Il faut revenir à l’époque où la Mattel Intellivision était la plus prisée des consoles de jeux vidéo. Tous les week-end, j’organisais des tournois avec mes amis et d’autres personnes sur plusieurs jeux. Pour chacun de ces jeux, le meilleur joueur remportait une somme d’argent que nous avions mis dans un pot commun. Mais celui qui gagnait sur le plus de jeux obtenait un bonus et était déclaré le roi du tournoi. J’ai reproduit cela avec la Sega Master System et le jeu NHL Hockey. J’imagine que c’est un peu comme ceux qui jouent au poker. J’échange ta collection complète contre une semaine de rêves en compagnie de Miss Monde dans une villa incroyable dans les Caraïbes, qu’en dis-tu ? Ha Ha… Bon,… Je ne pense pas que le marché soit équitable. Quelques une de mes pièces sont vraiment exceptionnelles et donc très rares voire parfois uniques. Et il y a beaucoup de femmes dans le monde. De plus, ma collection ne se plaint jamais, ne ment pas et ne me demande jamais de l’argent… Peut-être que si tu ajoutes quelques filles supplémentaires et quelques mois à ta proposition, on pourra en reparler. *Roger de son vrai nom doit avoir en 2012 entre 41 et 42 ans et a vendu une grande partie de sa collection.